Plans are in development for a feature film version of the BBC’s Doctor Who series. Harry Potter director David Yates confirmed that he was working on a feature film adaptation of the show, in collaboration with BBC Worldwide. 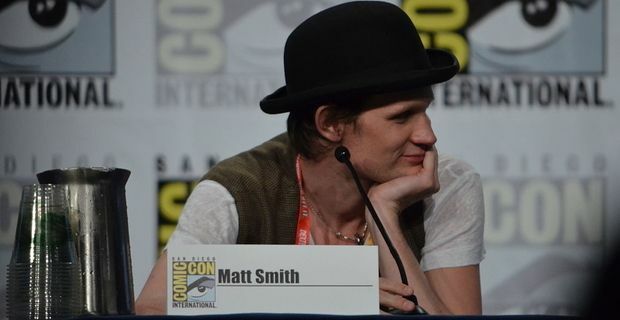 The series, starring Matt Smith as the latest incarnation of the Time Lord, has a strong US following. Yates told Variety that a feature film project would have a very different approach from the TV version. It would also be a long time in development. "We're looking at writers now," Yates said. "We're going to spend two to three years to get it right, It needs quite a radical transformation to take it into the bigger arena." He suggested that neither Russell T Davies, the man who revived the TV series, nor current showrunner and lead writer Steven Moffat would be involved in the feature film. "Russell T Davies and then Steven Moffat have done their own transformations, which were fantastic, but we have to put that aside and start from scratch," he said. Yates said that they would retain the show’s "British sensibility". A BBC statement said "A Doctor Who feature film remains in development with BBC Worldwide Productions in Los Angeles. The project is unlikely to reach cinemas for several years and as yet there is no script, cast or production crew in place." There are precedents for a Doctor Who movie, Doctor Who and the Daleks was released in 1965, with its follow-up Doctor Who: Daleks Invasion Earth 2150AD arriving in cinemas a year later. Peter Cushing played the Doctor.